Key Performance Indicators (KPIs) are nothing new to food and beverage manufacturers. They are critical to delivering safe, high-quality products to consumers and a better bottom line. But have you considered if you are focused on the right ones? Do you have other KPIs you want or need to track, or wonder what leading companies are monitoring to drive continuous improvement and profitability? In this exclusive training webinar, Jeff Chilton, VP of Consulting at Alchemy Systems — a nationally-recognized expert in plant management — shares insights and best practices for food companies of any size to improve how they use KPIs to optimize their operations. From monitoring critical regulatory data to continuous improvement, you’ll learn how to quickly and easily turn your KPIs from just a report into real-time results. Jeff has over 30 years of experience in the food industry, specializing in food safety, quality assurance, and plant management. He is a certified SQF Auditor, SQF Consultant, Preventive Control for Human Food Lead Instructor, and International HACCP Alliance Lead Instructor. 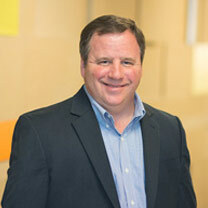 Jeff is a national expert in GFSI certification under the SQF, BRC, and FSSC 22000 standards along with USDA and FDA Regulatory Compliance services for HACCP and food safety plans.